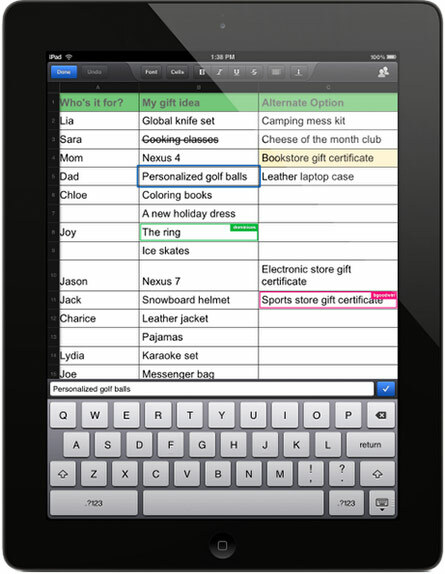 It's frustrated many a Drive user, and Google has taken heed, adding on-the-go spreadsheet editing to the service's iOS and Android apps. In addition to making tweaks to existing cells, users will also be able to create new spreadsheets from their iPads, iPhones or any Android device. You'll also have realtime access, letting you see changes from friends and colleagues as they're made. Other app tweaks include improved formatting reproduction for content pasted between Google documents, along with the ability to add Android home screen shortcuts to any Drive file. Hit up Google Play for the updated application today.